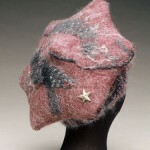 I learned to felt in 1977 and am largely self-taught, although I have taken some workshops. 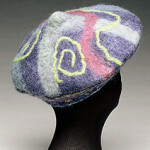 My interest is in surface design, traditional wet felting, and functional work, so I make a lot of hats and accessories. 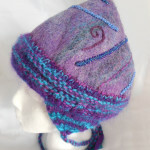 Many of my hat designs have felted top portions and hand-knit lower portions. 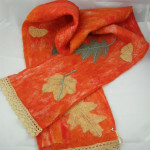 My current interest is in depicting nature and adding embroidery to my work.